Emergency Protest Tomorrow Protest Trump’s racist Britain First tweets – No state visit! Stand Up To Racism has called a protests against Donald Trump’s re-tweets of the fascist Britain First’s Islamophobic tweets that have shocked the world and his subsequent defence of them which attempted to justify anti-Muslim hate. Trump’s presidency has been marked by a series of disgusting racist outbursts from his “Muslim ban” to his equating fascists and anti-fascists at Charlottesville, despite the death of Heather Heyer. Only this week Trump was making offensive comments while speaking to Native American veterans. Now he has offered support for the views of a group made infamous by the use of their name by murderer of Labour MP Jo Cox. Join us outside the US Embassy to say no to Trump, no to racism, no to a state visit! Barnet UNISON has been involved with many campaigns involving the Community over the years. 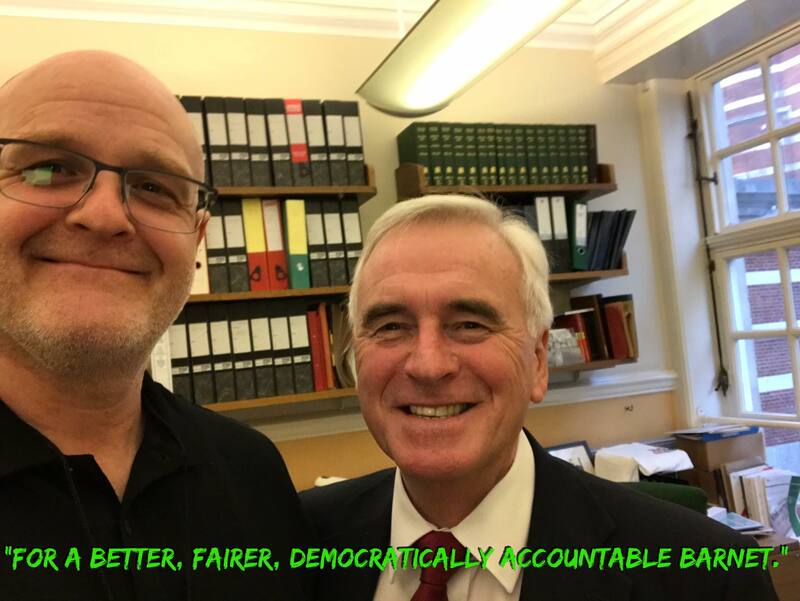 We do not see a contradiction between the provision of good services and good terms and conditions for the workers we represent. Our members often use the services our colleagues provide. Our key campaign has been the opposition of outsourcing which we warned would deliver inferior services to the Council, with a higher cost to residents and with less accountability for the money spent. “As at 31 March 2017, the Council has a prepayment balance of £44.7 million in respect of its Customer and Support Group (CSG) contract. This contract covers a number of front line and back office services including finance, ICT, HR, customer services, revenues and benefits, procurement, estates, and corporate programmes. As this is a significant prepayment, we challenged management with regard to its basis“. Barnet UNISON has agreed policies we would like to see implemented by the next Council administration. We may alter or add to these policies and positions following discussions in the coming months. Public ownership – whether national or local – means we can reduce costs and risks and increase quality, flexibility and accountability. Local councils are squeezed for funding more than ever – but many are realising they can save money by insourcing. So let’s not wait for the Tories to collapse! We can start building the country we want to live in today. Tell your local councillors you want them to bring services in house, and show them all the evidence they need to get started. There’s no time to wait – privatisation is as damaging for local services as it is for national ones. Let’s make sure your community gets the high quality, publicly owned services it needs. Get the ball rolling by emailing your councillors now. They need to know that if they embrace public ownership, you’ll be right behind them. We will meet at 3pm on Sunday at Farringdon tube station. Peter Middleton will be conducting the tour and we will visit the place where Michael Barrett was hanged. It will be concluded with a candle lit vigil in Clerkenwell Close. In the blazing hot July of 1972, 5 London dockers were jailed in Pentonville prison. They had picketed in defiance of Tory anti-union laws. This led to a wave of unofficial industrial action and protest involving hundreds of thousands of workers sweeping the country forcing the release of the 5 within a week. 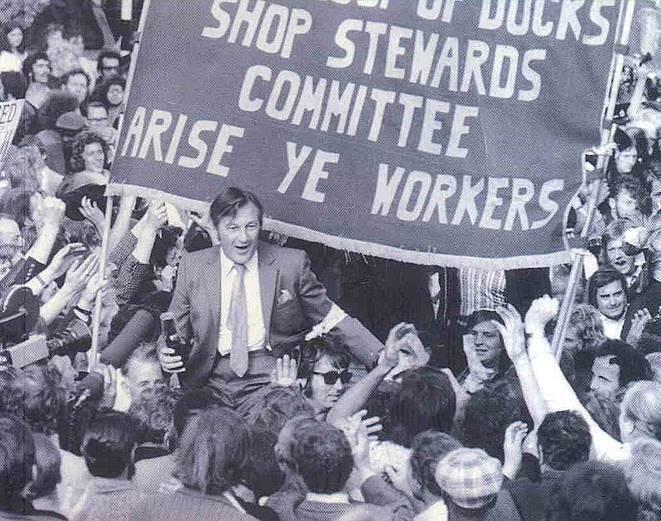 It was a massive working class victory – part of a wave of actions during the early 1970s including factory occupations, work-ins like Upper Clyde Shipbuilders, Briant printers and Fakenham women. A long battle against anti-union laws was underway. There were epic miners strikes in 72 & 74. In Ireland 1972 saw Bloody Sunday in Derry. 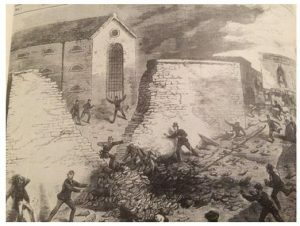 This event celebrates the great Pentonville victory but also looks at the lessons for our battle today against anti-union laws and rampant capitalism. Pentonville stands in the list of historic victories from Tolpuddle onwards. Join us for this historic celebration and find out about our history and our future. Members of the UCU at the University of Brighton will walk out on strike on Thursday at 1pm in dispute about compulsory redundancies. They will continue their strike on Friday and then begin a work-to-contract the following Monday. Further strike action is planned for December. The action follows a ballot which returned majorities in favour of action of more than 85%. If you can head down to any of the Uni sites from 8pm on Friday to show support on the picket lines please do. As you will be aware the RMT are in a long running dispute with Southern Rail about the removal of guards from trains. The RMT had previously been running effective pickets at the back of Brighton station that many drivers were refusing to cross. To try to stop this Southern have threatened strong legal action under the anti-union laws to move the pickets well away from the station. Please head down to the station on Saturday at 2pm to show your support for having guards on our trains and for the right for union members to picket their own workplace without fear of victimisation. Please do what you can to support and publicise this. Please can you bring banners flags etc!!! Please join our creative #StopandFix #UniversalCredit action on Oxford St at 2pm on December 2nd. Meet 2pm at Costa Coffee: Directions – Oxford Circus Tube then Exit 1 then walk　2 mins down Oxford St and turn left to Great Portland St.
We have: Street Theatre involving banners, placards, Theresa May!, Xmas Crackers, Xmas UC singalong, mince pies….and much more….any more ideas? Our demos on December 2nd are to educate the public on the devastating effect of UC to get them behind our #StopandFix #UniversalCredit campaign. 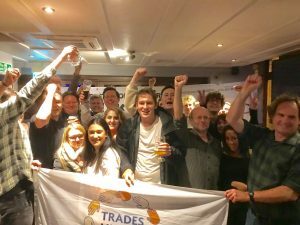 Barnet TUC will not be holding a regular meeting in December, but will hold an informal get together at Finchley’s Elephant Inn from 7pm on Thursday, 14th of December. There will a special bit of recognition for one activist without whom the trades council might not be here at all. All friends and comrades welcome!